Next up on our Song-By-Song preview is the official entry from The Netherlands, “Outlaw In ‘Em” by Waylon, written by the artist, real name Willem Bijkerk. The song is performed in English. Waylon has been performing for over two decades, having started as the drummer for a country band called West Virginian Railroad, since his teenage years The song will be performed 8th in the competition order on the second semi-final on May 10. The Netherlands are one of the founders of EuroVision, although they have missed a few years here and there. They have been a part of the contest fifty eight times. They’ve landed the Grand Final championship four times, all in the first twenty years of the contest – in 1957 with “Net als toen” by Corry Brokken; in 1959 with “m Beetje” by Teddy Scholten; in 1969 with “De troubadour” by Lenny Kuhr in a four way tie that also included the UK, Spain, and France; and in 1975 with the goofy and irresistable “Ding-A-Dong” by Teach In. Since the semi-finals were introduced in 2004, they have made the Grand Final five times. They’ve also had their share of last place wins, including two “nul” points years in 1962 and 1963. Next up on our Song-By-Song preview is the official entry from Lithuania, “When We’re Old” by Ieva Zasimauskaitė, written by Vytautas Bikus. The song is performed in English. Ieva began her career as part of several different children and teen choirs, and eventually studied hotel management, which she got a bachelor’s degree in before moving full time into music, placing 2nd in the Lithuanian “Voice” franchise, then making several attempts to represent her country in prior EuroVision contests.. The song will be performed 6th in the competition order on the first semi-final on May 8. A slow, uplifting, and truly gorgeous song about love lasting for a lifetime, my wife was in tears as she listened to the song and watched the video. Zasimauskaite’s voice reminds me greatly of Marketa Irglova of the duo The Swell Season – they have a very similar timbre and quality to the voice. This also has potential success in its future if it can find a stateside release – this is the kind of song that soft rock radio stations go nuts for over here, in a vein similar to acts like Sarah McLaughin, Adele, and Sara Barellies, and could easily find its way into the upper reaches of Billboard’s Adult Contemporary chart if given a chance. Next up on our Song-By-Song preview is the official entry from Montenegro, “Inje” by Vanja Radovanovic, written by Radovanovic as well. The song is performed in Montenegrin. Radovanovic is a well known singer and songwriter in his homeland. The song will be performed 16th out of 18 songs in the competition order on the second semi-final on May 10. Montenegro’s participation in EuroVision is fairly complicated: When Yugoslavia, which participated in the contest from 1961-1992, ceased to exist after the breakup of the Soviet Union, most of the regions of the country that subsequently became independent countries entered Eurovision on their own, but Montenegro did not; they remained joined with Serbia and entered the contest for three years as Serbia and Montenegro. It was only after a vote for independence and splitting off from Serbia that the country entered EuroVision on its own, making it’s debut in 2007, and has participated nine times since, missing 2010 and 2011 for financial reasons. They have qualified for the Grand Final only twice during their participation; their best showing has been 13th place, in 2015. Next up on our Song-By-Song preview is the official entry from Azerbaijan, “X My Heart” by Aisel, written by Sandra Bjurman (lyircs), Dimitris Kontopoulos, and Tim Bran (music). The song is performed in English. Aisel has been active in the entertainment industry in her native country for over a decade, and attended Azerbaijan State Conservatory for her musical education. 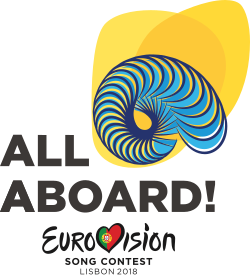 The song has one of the slots dreaded by most countries – it will be performed 1st out of 19 songs in the competition order on the first semi-final on May 8. Azerbaijan is relatively new to EuroVision, having debuted in 2008, and have participated each year since, sending ten songs to the contest. For a relative newcomer, they have done quite well also, winning their first Grand Champion title in 2011, with “Running Scared” by Eli and Nikki, who became the first mixed gender duo since 1963 to win the contest, and have more often than not made it to the Grand Final, also achieving a runner up and a third place victory in their ten years of participation.